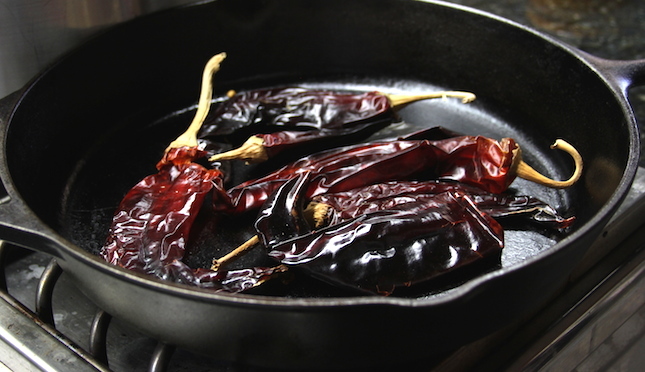 In a dry, hot skillet, toast the chiles for about 30 seconds on each side. Add enough water to cover the chiles. Bring to a boil. Turn off heat and let chiles soak until moist, about 30 minutes. Remove moistened chiles from the soaking liquid, de-stem, and place in a blender. Add to the blender the vinegar, onion and garlic. Blend until a smooth paste, similar to ketchup, if formed. 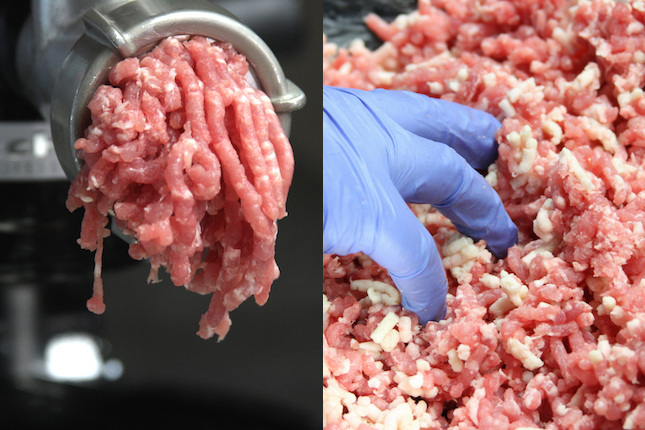 If your meat and fat mixture is not yet ground, grind using a small die. 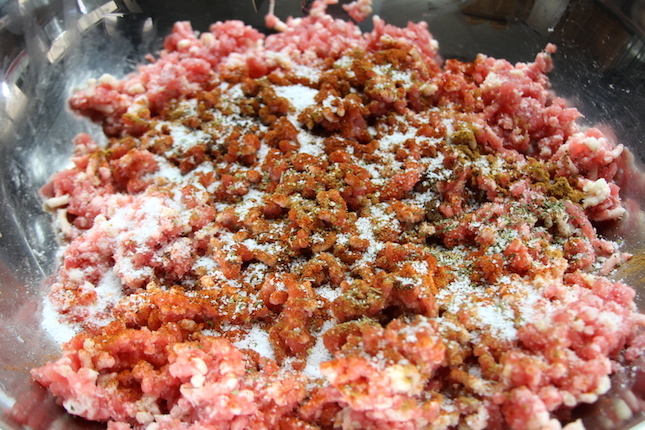 Add to the ground meat the chile paste and all of the spices. Mix by hand. Cook a test batch in a skillet and adjust seasoning as needed.